The time has come to say something about the oral law. The problem with the oral law is that it is not so well defined in the minds of those who are so against it. Many are of the opinion that the oral law is bad because they have been told it is bad. Moreover, even worse than just being told that the oral torah is bad, the oral law has been made up by men! Not just any men but those nasty Pharisees and their heirs the Rabbis. If of course one was to take the idea of oral law to its logical conclusion, then those who are in the field of halachic discussion, subscribe and practice the oral law are also evil, blind, hypocrites and even murderers! Putting aside for the moment, accusations that those who practice an oral law are evil, blind, hypocrites and murderers, what is the oral law and can it found the Jewish scriptures. Did the oral law exist or was made up by the Rabbis 1600 years ago as some would suggest or is it the case that a concerted effort has been made to silence and undermine it? In a nutshell, the oral law as we have today finds its written origins in the second century CE in a compilation of oral laws known as the Mishnah. The compilation is a concise collection of the previous ongoing discussion of the written Torah and how it was put into practice. Three centuries later, a discussion of the Mishnah known as the Gemara was added to the Mishnah and the two published together became known as the Talmud. There are in fact two editions of the Talmud, the Jerusalem and Babylonian Talmuds. The Gemara provides further discussion and in depth study of the Mishnah. In the composition of the Talmud, 90% concerns Halacha, the way to apply written law to a person’s observance in every day life and 10% which is aggadic. Aggadic literature of the Talmud is not meant to be taken literally but rather refers to commentary which serves as a vehicle for transmission of lessons, ideas and concepts which go beyond the literal narrative of the text. The concise nature of the Mishnah was not sufficient to guarantee the survival of the Oral Torah and led to the redaction of the Gemara to be included along with the Mishnah to finally give the Talmud. The Gemara contains the discussions and interpretations of the Sages on the Mishnah during the three centuries following the redaction of the Mishnah. Two Talmuds were codified, the Yerushalmi (Jerusalem) and Bavli (Babylonian). Rav Yochanan compiled the Yerushalmi in the Land of Israel, followed by Rav Mana and Rav Yosi bar Bun in 350 CE. The Yerushalmi contains explanations of the Mishnah and the discussions, questions and decisions of the Torah academies in Israel. Agricultural laws in the Land of Israel are explored in detail. In Babylonia, Rav Ashi (352-427 CE), with his colleague Ravina and thousands of other scholars, undertook to collect the discussions on the Mishnah and set them into writing. After Rav Ashi’s death, his son, Mar bar Rav Ashi continued the final editing along with Mereimar. The Babylonian Talmud (Talmud Bavli), as it is called, was published in the year 4265 (505 CE). Neither the Talmud Yerushalmi nor Bavli covered the entire Mishnah. The dictum that a verse never departs its plain meaning applies only to the Torah’s verses and not to Aggadic statements, has found recent abuse of Aggadic material by so called “messianic Judaism”. Messianic Judaism chooses to ignore the dictum, especially when they abuse the dictum to support their view of a divine messiah. Review of a recently published thesis entitled “return of the kosher pig” may be reviewed here and the famous aleph tav here. 1. Explanations Received and Transmitted by Moshe Relating to the Text of the Torah: An example of such a tradition is the mitzvah of using an etrog (citron) fruit on Sukkot. The Torah does not identify by name the specific fruit to be used in performing this mitzvah. It just says to use a pri etz hadar, the fruit of a beautiful tree (Vayikra/Leviticus 23:40). That description might mean many different species, but we know by oral tradition from Moshe that the Written Torah refers specifically to the etrog, citron fruit. 2. Halachah leMoshe miSinai: A prime example of this category of halachah is the description of the making of a Torah scroll: the type of parchment, the type of ink and other details pertaining to Torah scrolls. These details are not referred to in the text of the Written Torah but were transmitted orally from the time of Moshe. (See Talmud Yerushalmi, Megillah, Perek I, Halachah 9). 5. 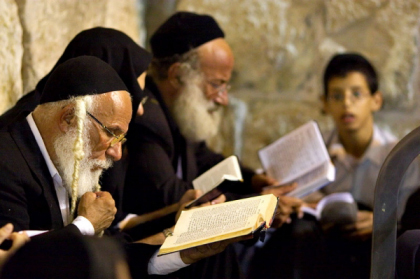 Legally Binding Minhagim and Rabbinic Takanot for the Benefit of the People: The Takanot are amendments issued by Prophets and Sages over the course of Jewish history. The holidays of Hanukah and Purim are two well-known examples of these Takanot (see Megillah 7b and Shabbat 21b). Other Takanot pertain to what Rambam calls “civil practices,” or interpersonal matters. For example, whereas the Torah invalidates the testimony of a thief, the Sages extended that invalidation to infractions that are not technically theft, such as gambling and usury (see Talmud Bavli, Sanhedrin 24b). But when it comes to this so called ORAL LAW I have been struggling with the problem of its acceptability as God’s Inspired command for man, particularly for the Jewish people. WHY DID MOSES DID NOT MADE ANY HINTS ABOUT IT? AND AMONG THE PROPHETS THEY WERE ALL MUM ABOUT THE SUBJECT AND IN THE NARRATIVES OF THE HEBREW SCRIPTURES THERE IS NOT ANY INSINUATION ABOUT IT.They were alway reminded to the written word not any oral law. And why would God make two sets of rules for his people the WRITTEN and the UNWRITTEN? Just what’s the REASON,if any,of making two sets of rules to the same people and nation??? Dear Diosdado; If you are careful in reading Torah, you find your answer; 38 years after we came to the holy Mount – Sinai – HaShem told Moshe to write down these precepts. So except for some items as the ten Commandments, we mainly had an oral teaching. So for two years, Moshe wrote the written Torah, making the Oral Torah 38 years older. Shalom. Sorry, the words of Moses doesn’t give any room for the Jewish claim of ORAL LAW. No such things, but pure human invention in the light of what Moses wrote:” And Moses came and related to the people ALL the words of Jehovah and ALL the judicial decisions, and ALL the people answered with one voice and said, ‘All the words that Jehovah has spoken we are willing to do’. Accordingly Moses wrote down ALL the words of Jehovah.”( Ex 24:3,4) “Every word that I am commanding you is what you whould be careful to do. You must not add to it nor take away from it.”(Deut 12:32).”The BOOK OF THE LAW should not depart from your mouth, and you must in an undertone read it day and night, in order that you may take care to do according to ALL THAT IS WRITTEN IN IT”…(Joshua 1:8) Those words is more than enough to tell you that there IS NO SUCH THINGS AS the oral law.